UPDATE: The Big Four may soon become the Big Three, but not if the Germans have anything to say about it. It’s four years since German budget supermarkets Aldi and Lidl began in earnest their assault against the established ‘Big Four’ British grocers. Both stores had been slowly growing in the UK beforehand, but the hubristic expansion of Tesco, Sainsbury’s, Asda and Morrisons created a distinct opportunity. The mood among shoppers had turned from range to convenience, while value was more important than ever. Burdened with a network of half-populated hypermarkets, Tesco and the gang were therefore woefully unready for the price war the expansive ‘discounters’ (they hate the term) unleashed. Their campaign was a great success. Aldi has already overtaken the Co-Op to become Britain's fifth biggest supermarket by market share, according to data from Kantar Worldpanel, while Lidl has pipped Waitrose for seventh place. In the 12 weeks to 22 April 2018, Aldi commanded 7.3% of the UK grocery market, and Lidl was on 5.4%. To put that in perspective, their combined share has grown nearly 80% since the summer of 2013. That's billions extra passing through their tills each year. Every penny and every basis point was wrenched from the hands of the Big Four, who have gutted their own margins in an effort to stop the rot, leading to a period of groceries deflation from the middle of 2015 to the end of 2016. The rising pound pushed the sector into inflation last year, though this has calmed down in 2018. It stands at 2.1% over the latest period. This is the context for the proposed tie-up between Sainsbury's and Asda-Walmart (you could just as easily look at the deal as Walmart taking a bigger chunk of the UK groceries market, than Sainsbury's buying one of its rivals). While they may be number two and number three respectively in marketshare, they are the two worst performers of the Big Four, with till rolls rising 0.2% at Sainsbury's and 1.4% at Asda, compared to 2% growth at Tesco and 2.2% at Morrisons. Aldi and Lidl 12 week market share, viewed in 12 week increments, showing especially strong annual growth in the spring. For more detail, take a look at Kantar Worldpanel's interactive chart. Even if the Sainsbury's and Asda combine, they will still struggle to meet the challenge of Aldi and Lidl. Their till rolls were up 7.7% and 9.1% respectively, dwarfing the others. More importantly, the Germans have permanently changed the dynamics of the grocery market by forcing down margins. While the big supermarkets can live with that, albeit as less profitable entities than they once were, it means they will need to continue shutting their less profitable stores to shore up their balance sheets. The discounters on the other hand have low prices built into their business models from the beginning, emphasising bulk over brand and price over range. Without a depreciating UK property portfolio hanging around their necks, Aldi and Lidl remain well placed to expand into the gaps their rivals are leaving. 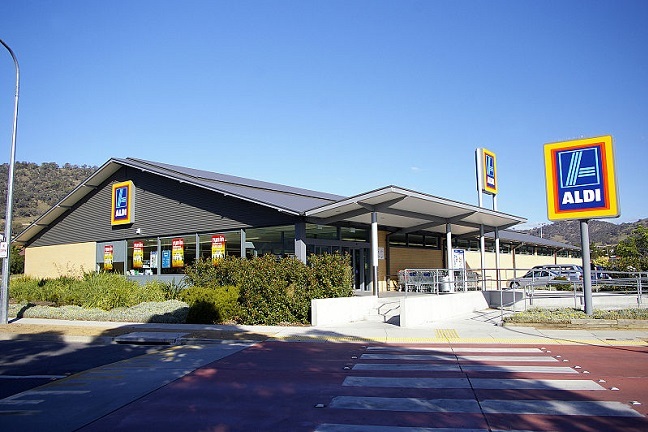 In November 2014, Aldi announced a plan to increase its store tally from 450 to 1000 by 2022. It’s already more than a fifth of the way there. Lidl, on the other hand, just built its 700th storeis in February, building 40-50 stores annually. To put that in perspective, Morrisons has just under 500 stores (though it has a much bigger footprint), while Tesco has over 6,000 including its Express convenience stores. There’s clearly still a long way to go before the discounters’ position in the market stabilises, but until then they will continue to expand their geographical reach and therefore market share. If both German chains do indeed double their store numbers over the next several years, it wouldn’t be a tremendous leap to expect their market share to increase accordingly, by which time the term ‘Big Four’ may no longer be appropriate. Though their own-brand based business model makes it unlikely Aldi or Lidl will become market leaders, it's quite feasible to see them nipping at the heels of Morrisons before the decade is over. Get ready for the Big Six.